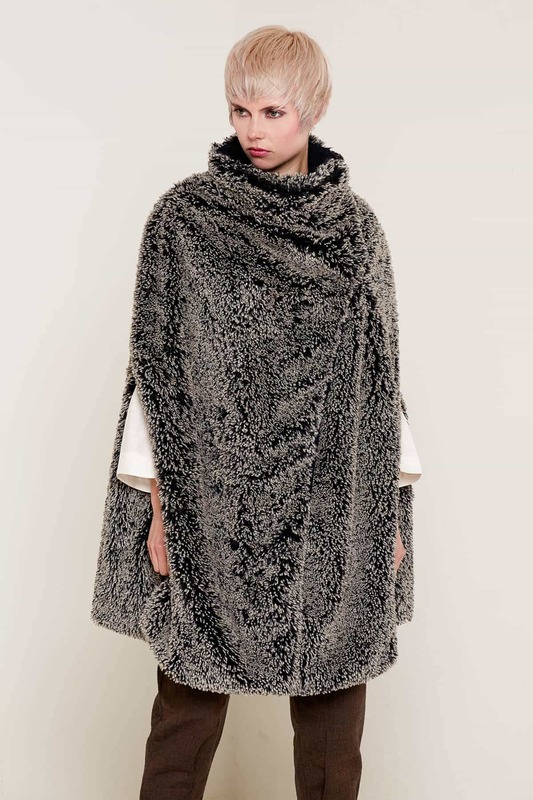 Get winter ready with this stunning fake fur cape. A cosy, super soft outer is given a smooth, luxurious lining, made from roll end fabric that would have otherwise gone to waste. The finished product is a stylish, sustainable alternative to traditional winter fur. 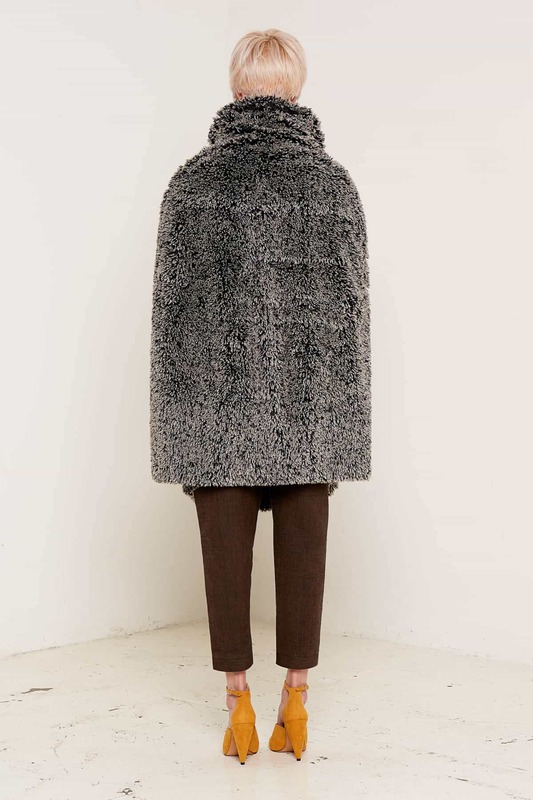 The Grace cape is available in beautiful textured grey with a deep black lining, or in a lighter, contemporary mustard colour. 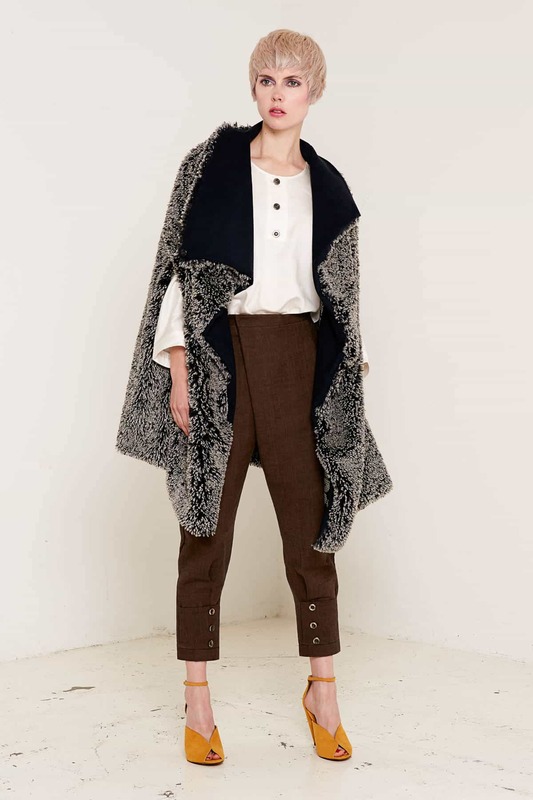 Press stud fastenings allow the cape to be worn partly or fully open to show off the contrasting colour of the lining, or fastened to take advantage of the snug roll-neck style collar.